I was really excited about this book. 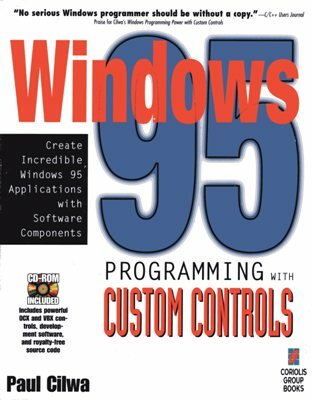 Windows programming, though originally designed using some early object-oriented ideas, was not inherently an object-oriented environment. But objects are intended to make object-oriented programming in a non-object-oriented environment easy. And so I designed a series of C++ object classes that hid all the complexities of creating a custom control, allowing the programmer to concentrate on what he or she wanted the control to do, rather than spending hours on the supporting code. Not long afterwards, Microsoft introduced the Microsoft Foundation Classes, which did the same thing. But I was here first! This book was the first to come accompanied by a CD (rather than a floppy disk). You may click here to download the contents of the CD in a simple ZIP file.